Hello everybody. 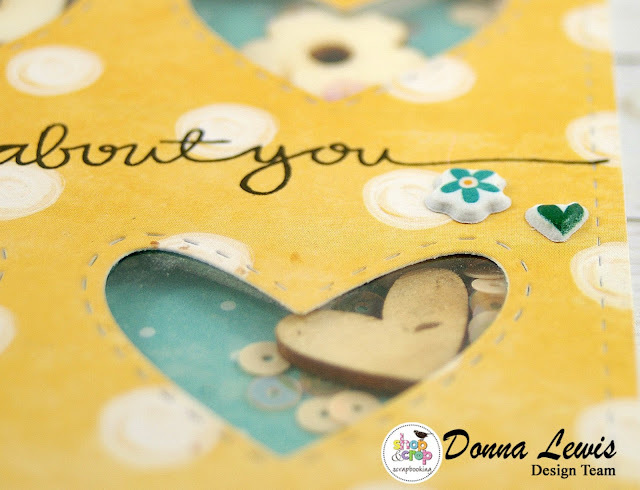 It's Donna here today, and I've got a couple of ideas for the papers in the gorgeous August Cropaholic Kit. If you haven't subscribed to this kit before, this is the month to start. So much fabulousness in a box. 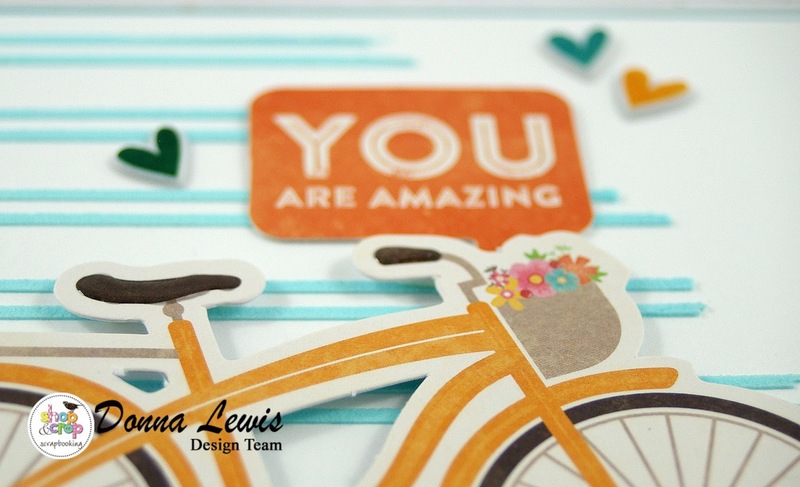 So, once I could finally bring myself to cut the paper, here's a couple of card projects that use some of the kit. You can expect to see a LOT more of this beautiful kit from me! 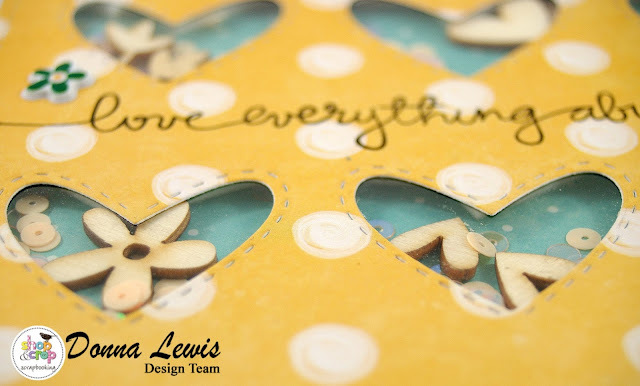 First up, I created a cute little shaker card that highlights the wood veneer shapes that come with this month's kit. I also added some sequins to each little pocket. I used the B side of two different papers so that the card wouldn't be too busy, and added a sentiment through the middle. 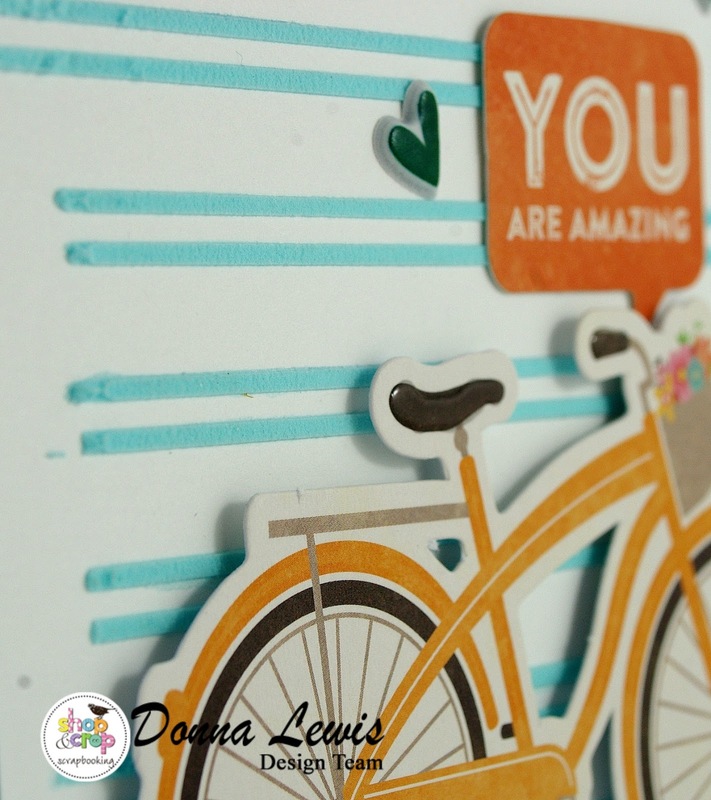 A couple of the cute little puffy stickers from the many in the kit completed the card. Here are a couple of closeups of all the sweet little elements. Have you had a look at this month's challenge? This month we have a Tic Tac Toe challenge. Have a look at the squares, and choose three in a row to incorporate into your project, horizontal, vertical or diagonal. As an example, I've chosen the middle line horizontally, using Stencil, Cardstock, and Ink. 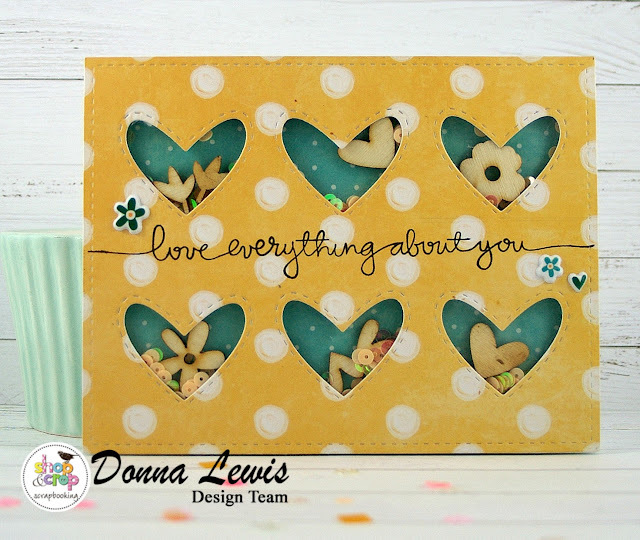 I have also used some of the ephemera from the August Cropaholic kit to make this card to play along with the challenge. I have a striped stencil in my stash, and I used this, using ink to colour the embossing paste to match the blue flowers in the basket of the bike. A little bit of glossy accents made the bike seat and handlebars stand out, and tied them in with the shine on the puffy stickers. 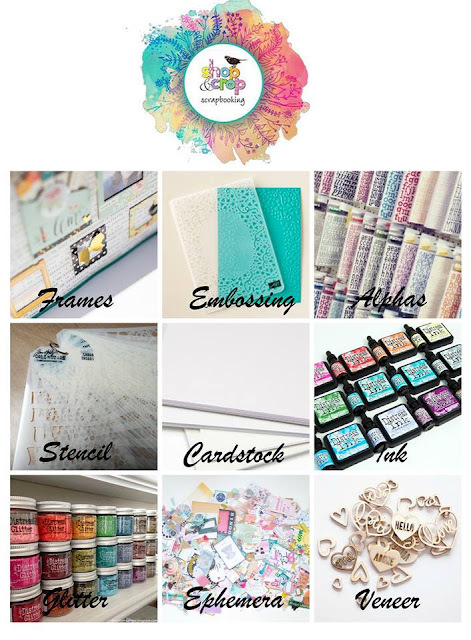 Have a go, and then upload a picture of your project in the gallery on the Inside Inspiration page to win a gift certificate from the Shop and Crop store. We'd love to see what you create! Don't forget, you can save $5 at the Shop and Crop Store using the code DL5. Why not subscribe to the Cropaholic Kit, which will cost less than a cup of coffee a day, and take advantage of the $5 off. Until next time, happy crafting, and may your days be full of sunshine. They're fabulous Donna and so trendy. 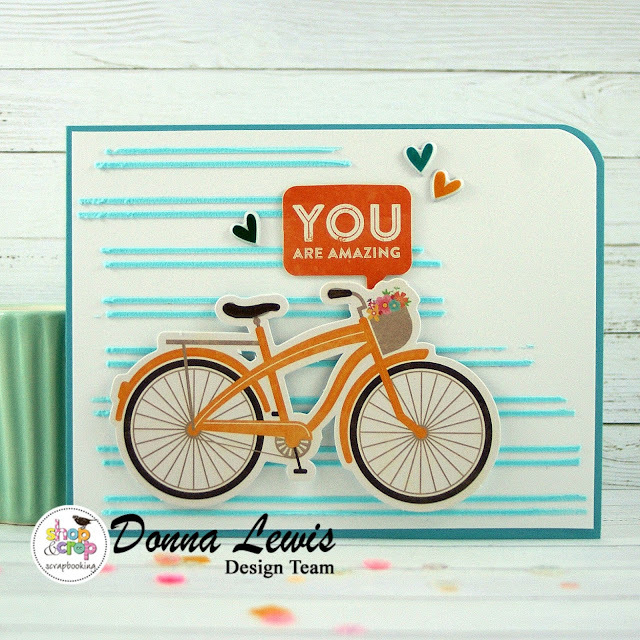 Your cads look amazing, love the cut out hearts and cute bicycle too..
AUGUST CROP KIT - Lifes a Beach & Life is Sweet!! Love and You Wonderful Thing!